What are the burning questions ahead of the 2019 ABLCS? 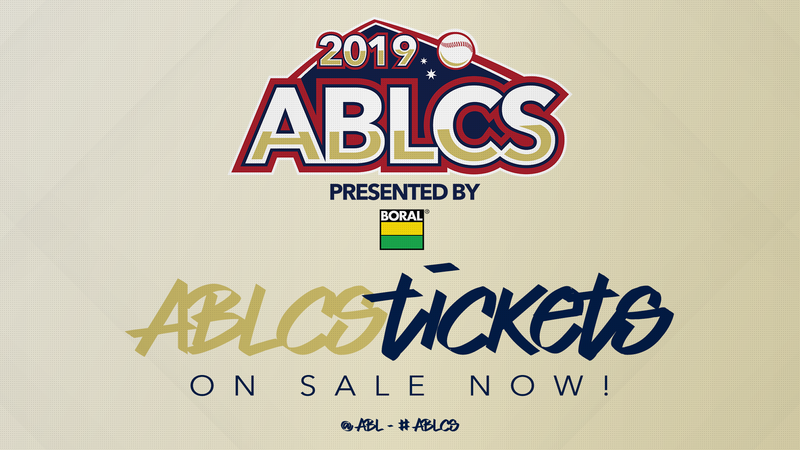 The 2019 ABL Championship Series presented by Boral will put the Brut Australian Baseball League's two most successful teams up against each other in a fascinating best-of-three battle. Will it be Brisbane who completes an historic four-peat or can Perth secure its ABL leading fifth title in nine seasons of the relaunched league? 1. Which bats will be the hottest? Perth rode into Brisbane as the league's best offensive team in December and swung a hot bat to a 3-1 series win. The Heat recorded 56 hits to 35 to outscore the Bandits 42-27, including 26-12 in a sweep of their Saturday doubleheader. They homered 10 times to eight at hitter-friendly OneHub Stadium powered by Optus. Perth maintained its status as league-leader in key offensive categories until the end of the regular season. The Heat led the ABL in runs scored (289), hits (406) and on-base percentage (.381). They ranked second in the league, behind Brisbane, with 51 homers. Brisbane finished the regular season with an offensive surge, hitting a league-leading 34 homers in 13 January games and finishing behind only Sydney with a .303 batting average. The Bandits carried their red-hot offence into an ABLSF win over Canberra over the weekend. Brisbane went deep 14 times across three games, taking their tally to 57 homers in 24 games at OneHub Stadium this campaign. The Bandits head to Perth for game one before returning home for game two and three (if required) at their Newmarket home. Both teams have shown they can swing, and swing big, but which offence will deliver on the big stage? 2. What has Kyle got planned if it goes to three? Game three is a long way away and may not eventuate, but if it does what's the plan for Perth manager Andy Kyle? Kyle put his faith in Nathan Kuchta to start game three in the Heat's ABLSF presented by Boral against Sydney before turning the game over to the bullpen. The 24-year-old got through 2 1/3 innings, allowing three runs on five hits and three walks, before Nick Veale produced a solid long relief outing to collect the win. Kuchta's offence bailed him out on Sunday but the Bandits - and OneHub Stadium - will be far less forgiving. Does Kyle back the right-hander in again should their be a game three or does he go with Nick Veale or Brooks Hall? Veale has enjoyed recent success in Brisbane, going 2-0 and allowing four runs on nine hits with 15 strikeouts in 11 1/3 innings. Hall has never pitched at OneHub Stadium but looked impressive in two starts, allowing two runs in 8 1/3 innings. While Brisbane's starting trio of Ryan Bollinger, Tim Atherton and Travis Blackley is almost set in concrete, Kyle has a decision to make. How the opening two games unfold could have a huge impact on his decision. 3. Will Atherton and Blackley bounce back? Tim Atherton and Travis Blackley guided Brisbane to its third-straight title last February, helping overturn a 1-0 deficit with stellar outings in game two and three of the ABLCS. But after putting together dominant regular seasons, both endured rare difficult outings during week one of the 2019 Playoffs presented by Boral. Atherton allowed five earned runs for just the second time this season, despite still working into the eighth, and Blackley was taken deep three times by Canberra. The Bandits' offence did the job to earn both another chance and we're looking forward to seeing their response. Last season's ABLCS showed their ability to perform on the big stage. Atherton earned ABLCS MVP honours after striking out 11 and allowing just one run on three hits in seven innings. Blackley outduelled Frank Gailey in the decider, tossing six scoreless innings with one hit and two strikeouts. Will they bounce back from last weekend and play a leading role in a Brisbane four-peat?